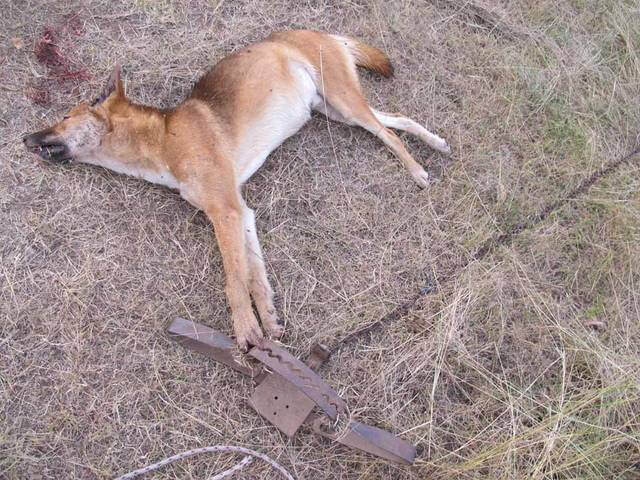 The destruction of wildlife has everything to do with the non existence of political will as it does with bureaucratic ignorance and their bogus scientific research advisers. 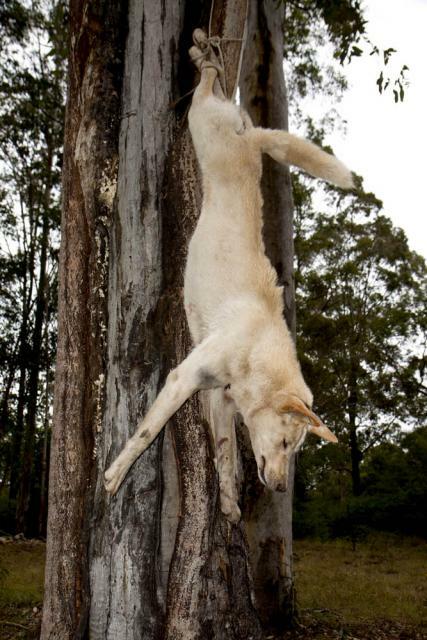 Poaching for fur, tusks, horns, the trophy hunting safari industry, the exotic animals for private and public zoos black market all are part of the devastating effect on the balance of the ecosystem. That destruction is a world wide problem of astronomical proportions. 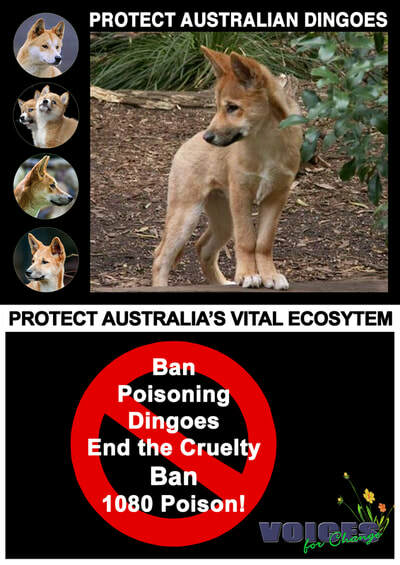 Focus on this page as by example of this dire global problem is on the Australian Dingo, vital to the Australian ecosystem, yet the most killed and least protected. DINGO; Balance keeper of the tough yet fragile Australian ecosystem, classified as a "pest" where the actual pests are the die hard chemical farming industry and its patronizing politicians and consumers. 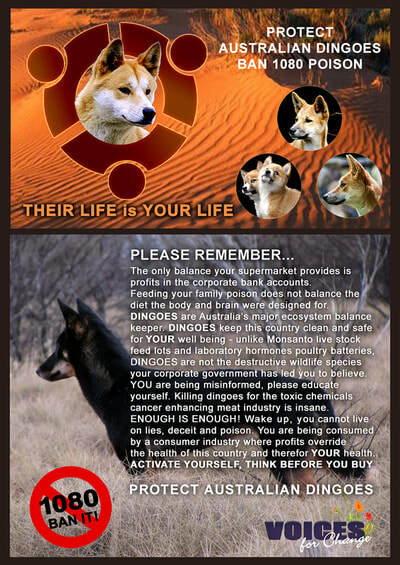 Arrogant conventional Australian farmers slogan sums it up all too well: "If it moves shoot it, if grows cut it down". Obesity and cancer epidemic? No questions. Dysfunctional sociopolitical illusions engraved in the Minds of the masses are a trap leading to a dead end. Raising due concern about the ongoing human war on the very ecosystem on which we all depend depends on how much you, the viewer, cares to share the truth about the religious/political systems that have dictated social conditioning since time immemorial. The above video was published June 2017, 4 years after the posts below. 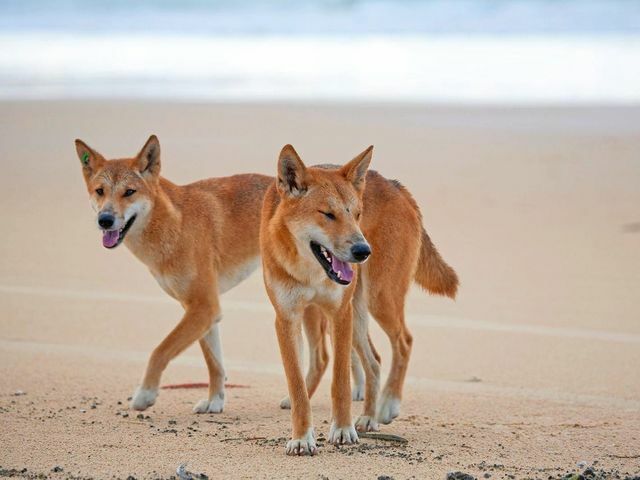 Dingoes, Australia's most efficient ecosystem managers have been the issue of problems created not by dingoes but by humans, the most intrusive, destructive species on Earth for untold decades - these problems and solutions are well documented in the videos on this page. 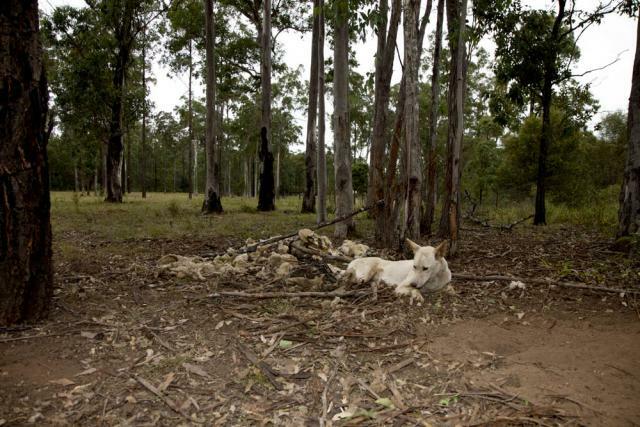 What cannot be stressed enough however, is that the vast sheep and cattle industry lies at the very heart of the problem and it has to go, like it or not. 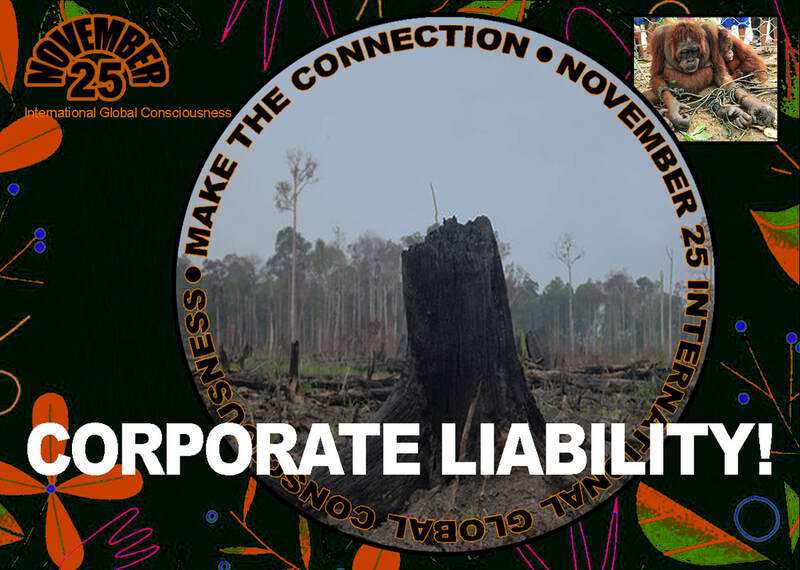 What to do to avoid any more catastrophic disasters couldn't be any clearer: End the exploitation, end the wars, end abuse and the destruction of human, animal and plant species. 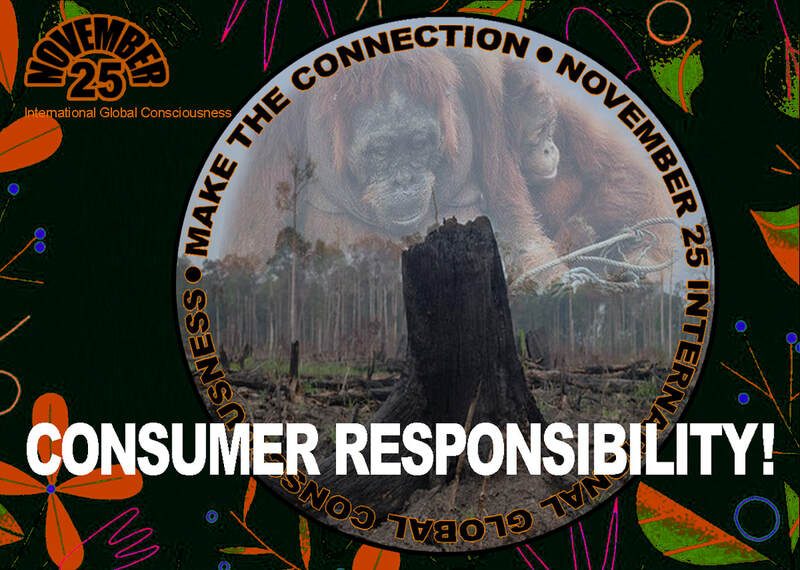 Next time you're loading your supermarket trolley stop and think for 30 seconds and you could make a decision that will change the fate of this over-productive, toxic chemicals saturated cancer inducing industries society to a better, more desirable alternative. 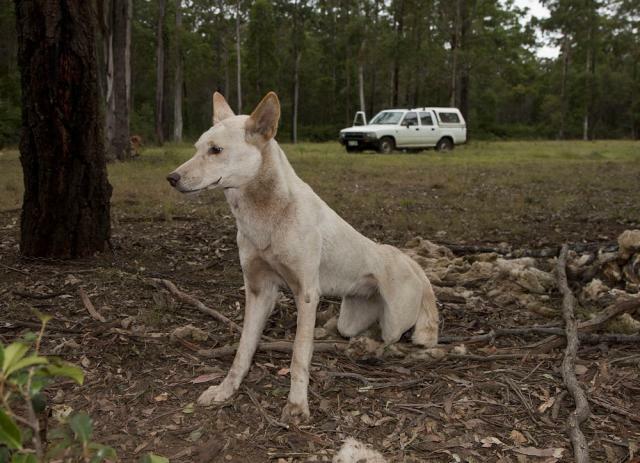 In the eyes of Australian cowboys raising billions of animals to be loaded on trucks and ships to be slaughtered at Australian, Israeli, Kuwaiti, Saudi Arabian, Indonesian abattoirs etc in many cases by some of the most horrific methods, after their gruesome transport ordeals, is their "four generations traditional business and way of life". Business it is, nothing more, the cattle industry as every other livestock industry exists on the back of millions upon millions of mistreated, suffering animals that end up slaughtered to be sold in plastic wrapped pieces through the world's butcher shops, the vast corporate supermarket chains and obesity and cancer generating fast food industry. idealistic ideas. 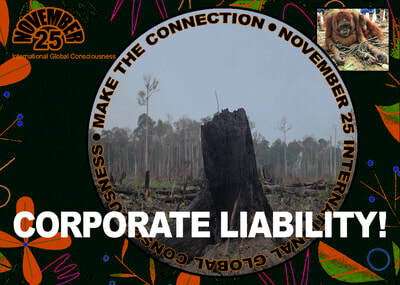 Continuation of a barbaric existence ultimately leads to the destruction of the entire human race but yet, the prime reasons for change are engraved in the moral conscience which clearly demands that imposing suffering and death on any living being and the willful destruction of the environment and indigenous habitat is never to be tolerated. 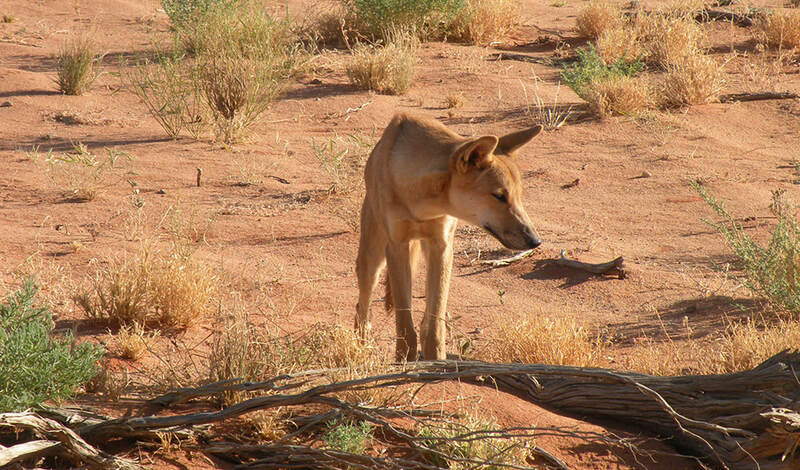 Living in a concrete environment does not represent any justification for the destruction of wildlife or any other living species. Human civilization functions on an unprincipled psychologically imparted exploitation, slavery and abuse system that can't be undone except by a globally united voice of billions, World Peace before all else, and the will to change its discerning attitudes concerning the environment/ecosystem, its essential wildlife, domestic animals and its own fellow human beings. WHAT DOES IT TAKE FOR HUMANS TO WAKE UP? 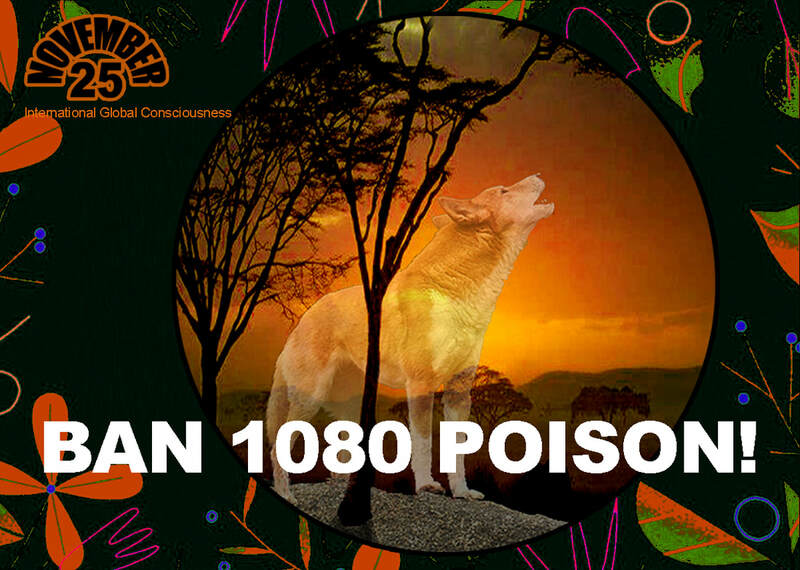 HOW LONG WILL YOU LIVE ON POISON? 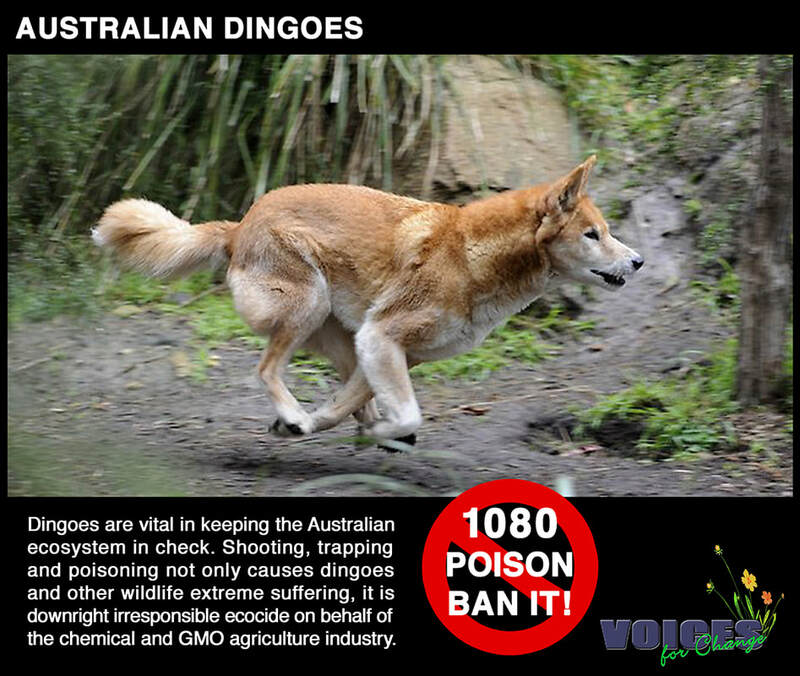 Let's take notice: 1080 is a threat not only to dingoes, it is a threat to ALL LIFE. 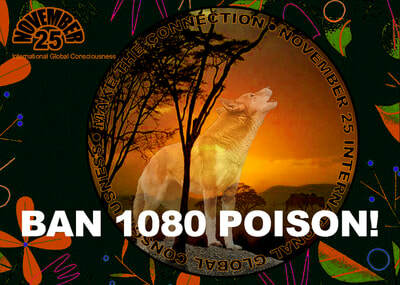 1080 poison needs to be seen in the same light as Monsanto/Bayer and the like "products" that through agriculture, horticulture and the food packaging industry are poisoning the life out of the ecosystem, wildlife, farm and other domestic animals, and people - in that chain reaction order. 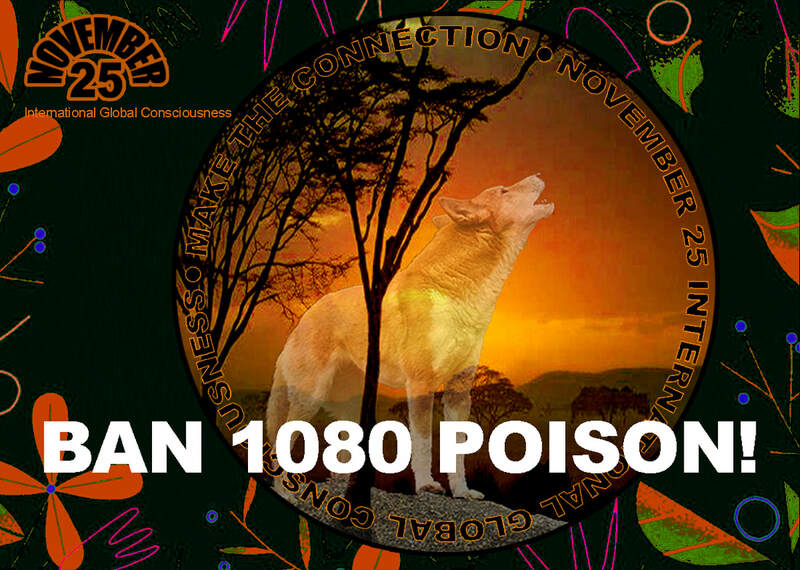 1080 is no different from Agent Orange dropped on Vietnam, no different from the chemicals used in wars to see entire communities perish. Let's have a look closer at home: Big Macs? KFC? And every other corporate fast food chain and supermarket supplying their "consumers" with obesity and exponential cancers growth? Are you getting the point? 1080 is an indiscriminate killer, it doesn't think, it doesn't care how much horrific suffering it causes nor for how long that process takes place before a victim passes away into nothingness. 1080 needs to be banned. And if any blame for intrusion is to be sought, let's forget the hypocrisy and get to the core of the problem, which isn't that hard to find, because WE ALL KNOW where the real problem lies. 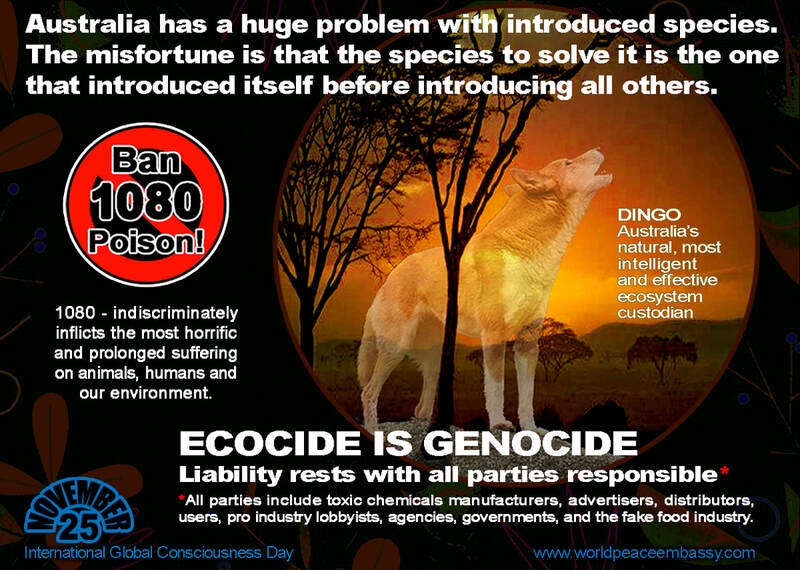 And since we know where the real problem lies, let's begin with the demand to abolish the entire poison industry and reform human thinking and behavior. Misleading the public is standard political routine. 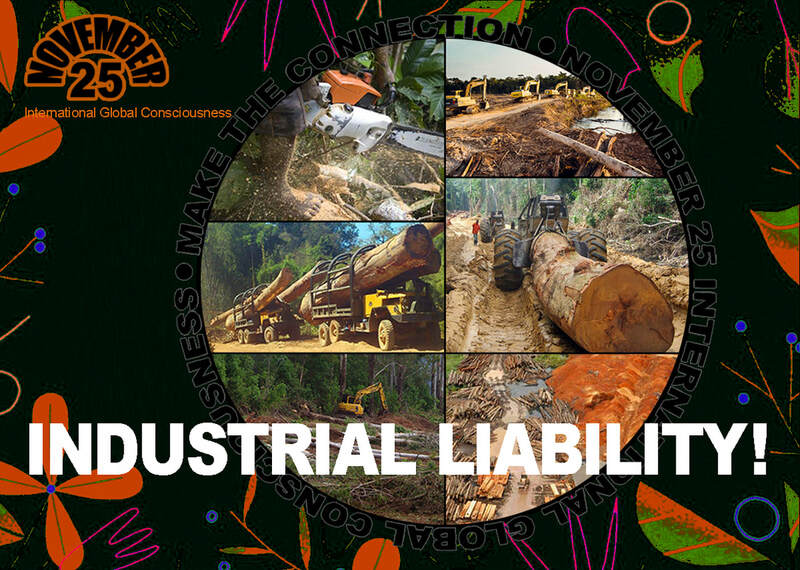 Governments and their industry paid bogus "scientists" cannot be trusted. Truth is evidence, lies are not. complicity in the use of this monstrous death trap of a substance by handing the public bogus "impact studies" conducted by bogus "scientists". 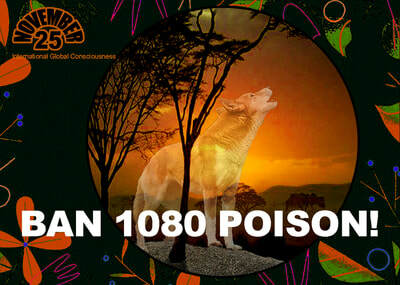 1080 is a genocide product, let those who profiteer from it swallow it themselves. 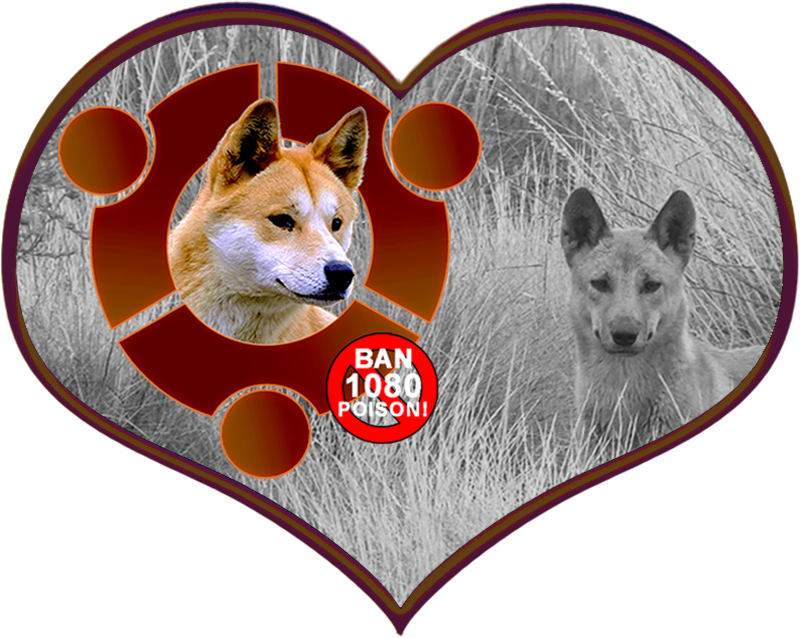 I set up The Australian Dingo Conservation Board March 24, 2018, administered it for around 6 weeks, created the dingo timeline covers, profile pictures and ban 1080 posters. 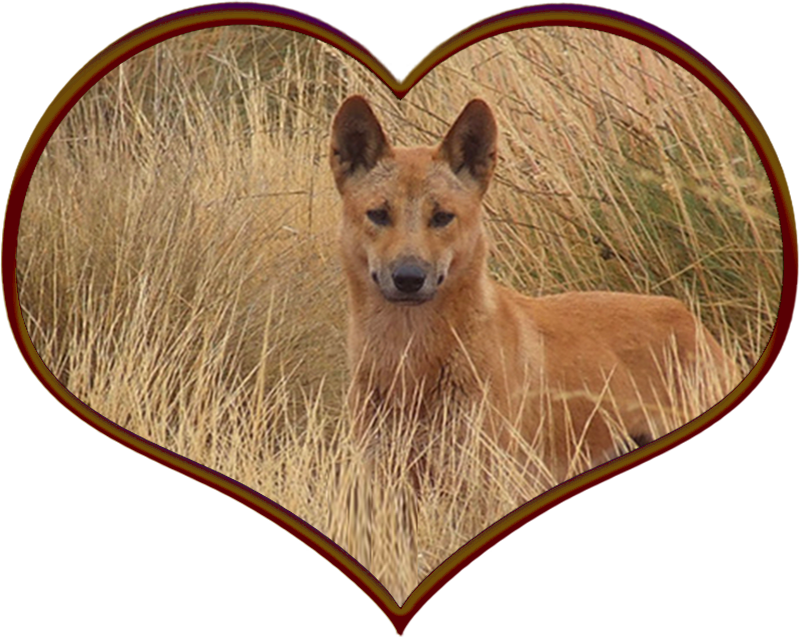 Due to lack of support from its members and the members of over 20 other dingo related groups however as happened 4 years earlier with the "Ochre (Dingo) Project", I left the group and with that my role as administrator. It's a sad affair when people claiming to be there for causes such as this as for any other cause for the betterment of all concerned pay more attention to their all self importance social profile rather than to unite as One Voice for Change. Anyone who cares to read the pages of this web site will see why this administrator has finally, after 8 years of futile Facebook networking thrown in a campaign started naively thinking that Facebook presented the means to unite people for Peace, sanity and Justice for all. 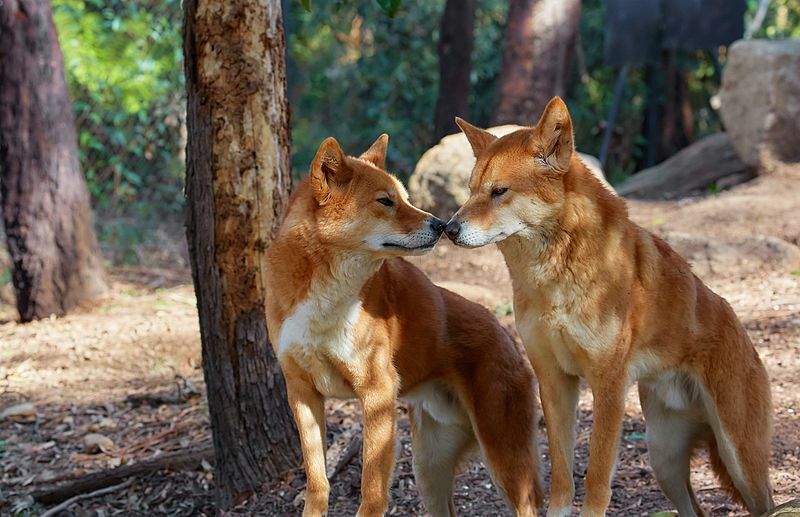 Designed for the people who care about Dingoes to stand united in solidarity as ONE VOICE FOR CHANGE. 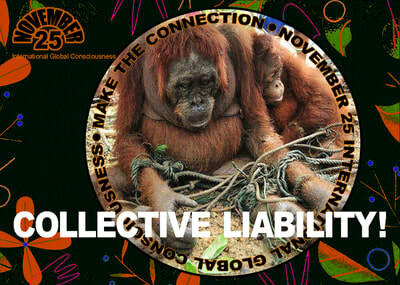 Killing a living being is against all conscience principles. 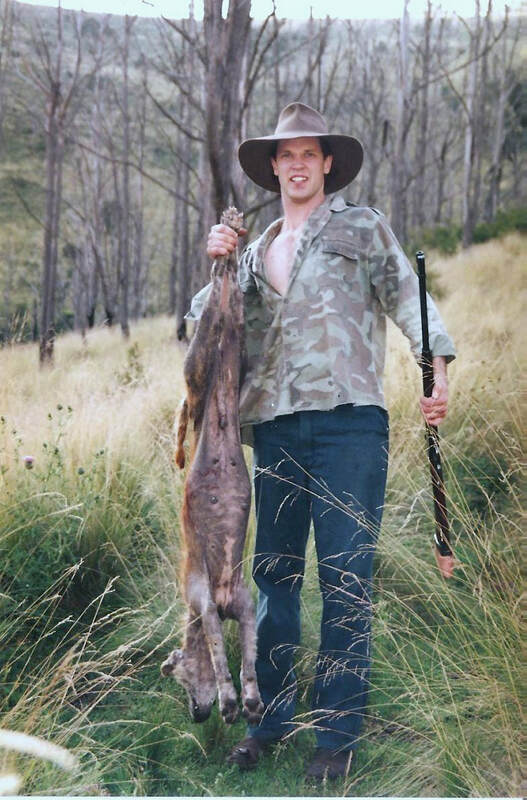 Just because the livestock industry employs millions of people throughout the chain from raising animals through the transport industries, the supermarkets, the butcher shops, onto the dinner tables of the family raising kids for these same industries, does not make it right. 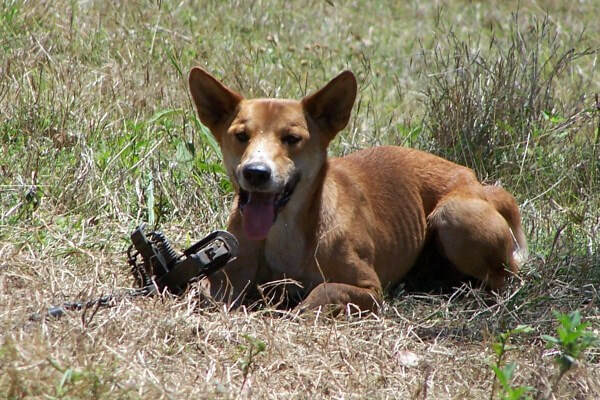 When animals are killed by whatever means, horrific as most are, there is something wrong with a society that blindly considers that normal and refuses to change. Today Facebook changed the Profile Pictures format. Throughout this web site you will see the original World Peace Embassy Profile Pictures that have been used by VOICES FOR CHANGE since 2010 which are now obsolete THANK YOU FACEBOOK! As part of their ongoing manipulation agenda to be authoritarian over their so called "free social media sites" Facebook cut the new Profile Disc from the square pictures. As a consequence the WORLD PEACE profile picture had to be re-done as shown on the right. Clicking on any Profile Picture in this site opens a tab to the VOICES FOR CHANGE / WORLD PEACE EMBASSY Profile Pictures album. The new Profile Picture added to the album is free to use. 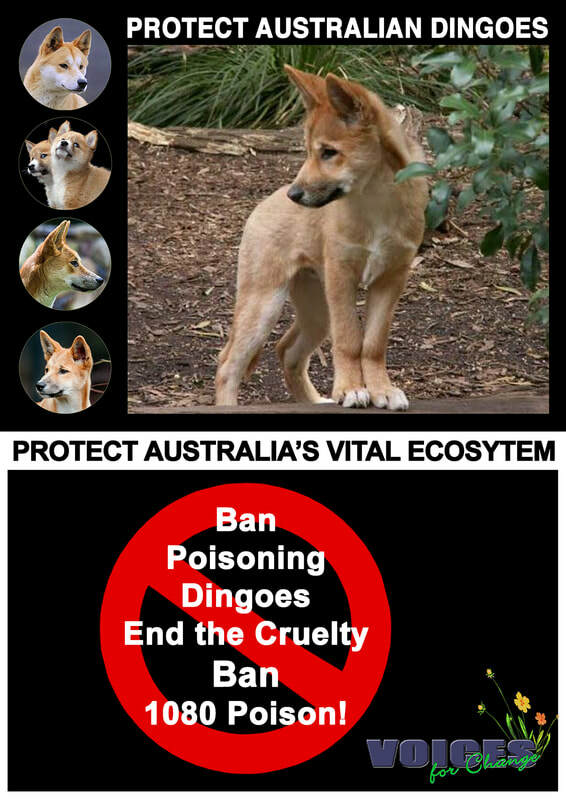 For Facebook users who are serious about standing together in solidarity for a ban on this most vile substance that causes the most cruel, slow, agonizing death to any living being while poisoning the entire ecosystem via the water systems on which all life depends. 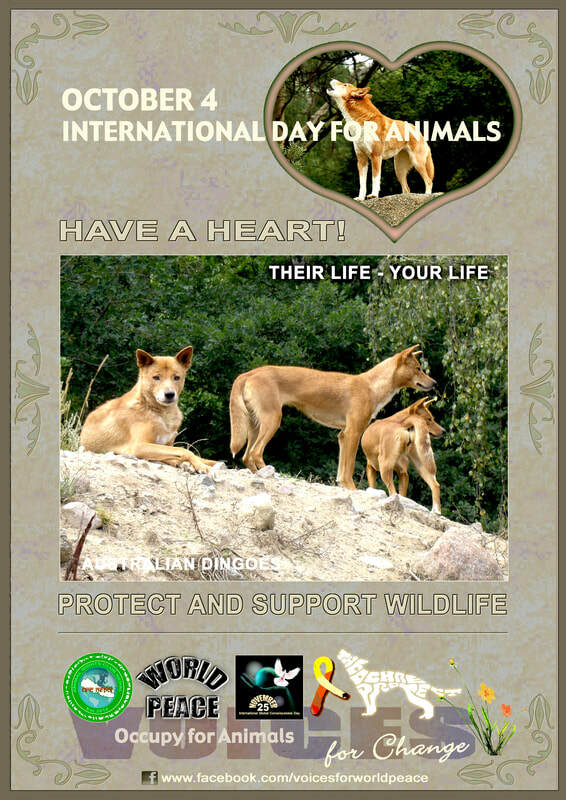 Click an image to download.